Snap has extended its Marketing Mix Modeling (MMM) Partner Program to the Middle East & North Africa (MENA), to enhance the suite of tools it provides marketers in order to measure the return on their investment. Brands in MENA will be able to measure the impact of their campaigns on Snapchat alongside other marketing channels including TV, radio, print and digital through econometric measurement. Many advertisers have seen positive branding results from campaigns on Snapchat as a result of in-app polling surveys run with measurement partners including Nielsen and Millward Brown. In the past three years, Snap has measured nearly 1,000 campaigns with these partners across 12 countries and over 15 verticals. As part of the company’s increasing measurement sophistication, it is now expanding its capabilities to allow brands to understand sales lift and ROAS (return on ad spends) using the data it provides directly. Snap has partnered with eight companies to ensure a comprehensive offering in MENA. Following the launch of MMM partner program in the US in July 2017, this offering extends existing partnerships with Kantar, Nielsen, Analytic Partners and Marketing Management Analytics as well as adding new partnerships with Publicis Media, Capella MENA and Omnicom Media Group MENA, as well as independent MMM specialist Ekimetrics. As per the social media company, results in the US demonstrate Snapchat compliments broader media campaigns for brands. Evidence showing that Snapchat can add a further 8 percent incremental reach beyond that of TV even when 1/25th of TV spend. It also delivers eight times higher return efficiency than TV in driving sales, and in the carbonated soft drinks sector 10 times for example. “Snapchat ad products are not only unique, but they are driven by the same innovation that drives our consumer products which is great for clients and advertising partners,” said Julie Caironi, Measurement & Insights Lead for Snap in MENA. She explained that understanding their impact on product sales therefore requires a deeper understanding of our advertising solutions, the campaign delivery information we provide and how to work with us to generate deeper learnings. 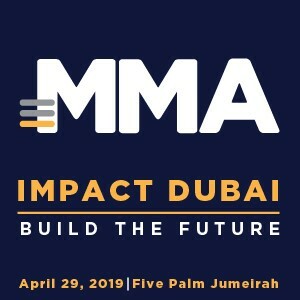 “The MMM partner program that we are launching internationally allows this to happen for more clients and partners across the MENA region,” she added. “The partnership announcement with Snapchat is a powerful opportunity for Capella MENA to further strengthen our data measurement capabilities for current and new clients. Sharing data to work on better measurement elevates our understanding of how consumers make purchases so we are very excited to be part of this initiative,” said George Papandreopoulos, General Manager, Capella MENA. “As Publicis Media, we foster a culture of Talent, Trust and Transformation. We take our commitment as a trusted, transparent partner to our clients very seriously and we are proud to be leading the way with Snapchat to create a measurement framework for the new media solutions of today and tomorrow,” commented Racha Makarem, Managing Director Data Science, Publicis Media MENA. “Understanding the impact of every media channel is extremely important to us and our clients, and the only way we can do this is with proper measurement in place. With this in mind, it’s great to see this Snap initiative reach the Middle East. We’re delighted to be among the first agency groups in the region to make this available to our clients,” added Raouf Ketani, Head of Annalect, Omnicom Media Group MENA. “Our clients strive to get the most holistic and accurate view of marketing ROI and customers’ engagement. It is crucial for Ekimetrics to source the best quality data to ensure that our advanced analytics are as accurate and insightful as possible. In that context, we are very excited to partner with Snapchat. Together, we’ll be able to provide deeper recommendations, better support across digital formats, and to further inform long term decisions,” remarked Jean-Baptiste Bouzige, CEO, Ekimetrics. Today Snap offers measurement solutions in MENA across verification, viewability, reach, resonance and reaction through partners including Sizmek, MOAT, Integral Ad Science, Nielsen and Millward Brown. 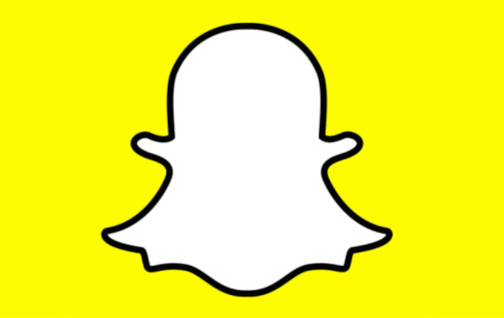 Snap also offers proprietary solutions including the Snap Pixel which helps advertisers to measure direct response goals such as driving leads, subscriptions, or product sales by seeing how many Snapchatters take action on their website after seeing their ad.